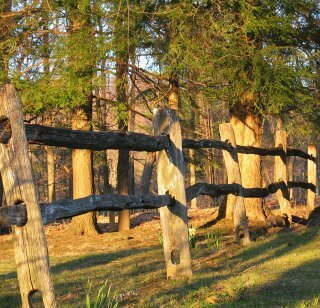 This picture is completely undoctored - the wood, which is just normal grey split rail fence like we have all over this town, was backlit by the setting sun and made a great composition against the gold trees. 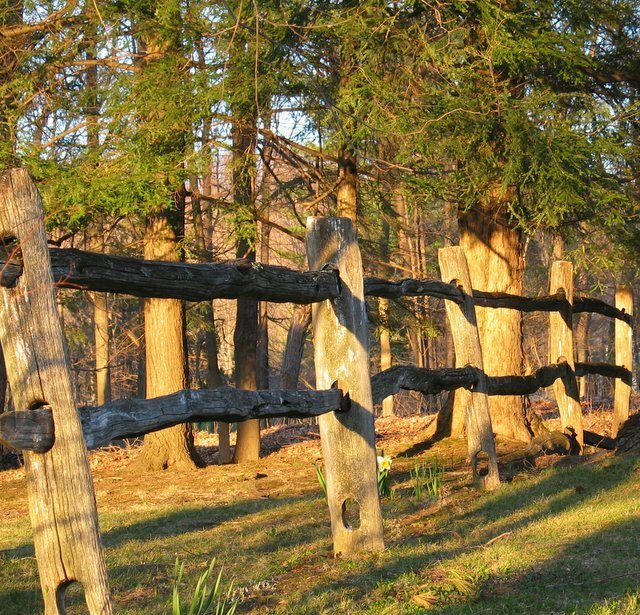 Love these kinds of fences! The evening sunlight turned this into a really nice scenery!